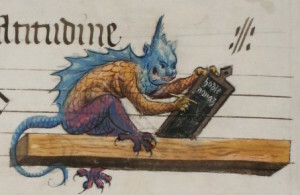 Detail from St Gallen, Stiftsbibliothek, Cod. Sang. 542, fol. 606v. Dr Mary Flannery is a medievalist and author specializing in the literature and culture of late-medieval England. 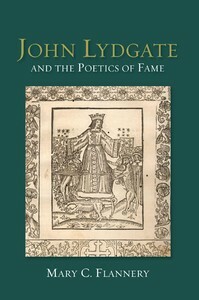 She currently holds a Marie Sklodowska-Curie Research Fellowship at the University of Oxford, where she is investigating obscenity in manuscripts and early print editions of The Canterbury Tales. Her past research has focused on the history of emotion, but she has an enduring interest in dangerous and deviant speech, including gossip, fame, blasphemy, slander, or rumour. Dr Flannery has held posts at the University of Lausanne, Queen Mary University of London, and the J. Paul Getty Museum in Los Angeles.